It’s feeling like spring is right around the corner and I am dreaming about blueberry recipes. I love to cook and bake with blueberries. They are one of the healthiest fruits that you can eat…which I like to keep in mind when I am baking a blueberry cake! 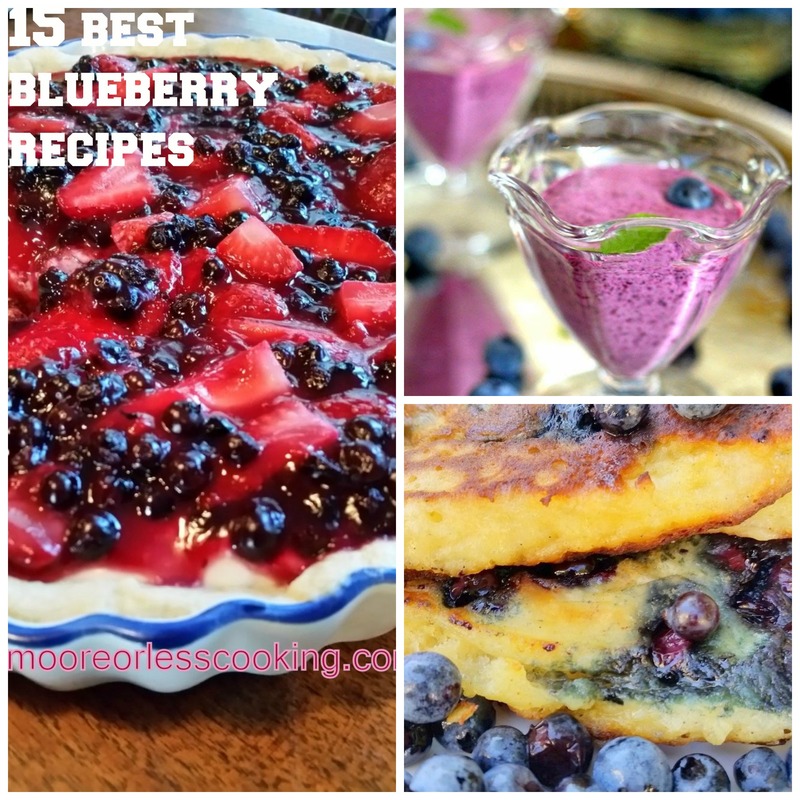 I have a collection of some of the most delicious blueberry recipes: pancakes, donuts, cheesecake, waffles, coffeecake, salad, Mojitos, and more! Easy to make in a blender! It’s like an amazing combination of a crepe and a popover. Tender, moist coffeecake bursting with blueberries in every bite. Light and crispy waffles with a blueberry burst in every bite! A wonderfully light and fluffy blueberry cake with lemon zest and a sour cream lemon glaze. This is a very simple cake recipe with blueberries and almonds. The cake is very moist and the blueberries are sweet and tender – an easy recipe perfect for a Sunday brunch or for a light dessert. Wonderful blueberry yogurt pancakes, perfect for two! Easy, luscious, and creamy no-bake pie with a cheesecake-like filling and juicy berries. Every bite has a healthy burst of sweet blueberries. And, since you’re baking them in ramekins, there’s no need for slicing. Everyone gets their own baby spooncake! A bite-sized pancake loaded with blueberries! Quick and easy dessert, perfect when you are on the go! This is an easy dessert that you can make for guests right before they arrive and they will be coming back for more! Thank you ! I Iove blueberries!